Stress is a word that gets used a lot these days. In fact, we talk about “getting stressed out” or being “too stressed” at work. What’s more, we’ve all heard by now how stress can, over time, cause a number of medical issues such as high blood pressure or hypertension. And why is it so harmful to our health? Stress is a natural response of your body to the various demands that are part of everyday life. For example, the stress response (also known as the “fight or flight” response) is what provides you with needed energy when you are faced with a difficult or emergency situation. However, the typical stresses that we encounter each day place are problematic because, unlike emergency situations that typically have a short duration, the pace of modern life has caused conditions where our bodies are in a prolonged state of stress response. Yes, it’s our response to stress can either help or hinder our body’s ability to cope. and reaching out to friends and family for support. And these unhealthy responses to stress, over time, can cause your body to work harder than it needs to and can trigger physical and mental health issues. Over time, ongoing stressful situations coupled with unhealthy responses can actually be detrimental to our health. In fact, medical studies have shown that with increased and consistent stress, our white blood cells which defend our body against viruses decrease. This results in lower immune resistance, ultimately leading to physical disease and emotional instability. Acupuncture and Chinese medicine can treat your symptoms AND address the root cause(s) of the problem. Stress can lead to a depletion or blockage of Qi (pronounced “chee”), especially that of the kidneys and adrenals. Qi is the vital energy or power that animates and supports the functions of the body. It flows through specific pathways, called meridians, and provides nourishment for the entire body. When Qi becomes “blocked” or the supply is inadequate your body and organ systems become “stressed out” and good health is compromised. The goal of acupuncture is to support and restore the integrity of the various organs affected and depleted by the stress response, along with evaluating the quality and quantity of Qi. Additionally, you may benefit from other treatment options to enhance and speed healing, such as a change in diet, adding an exercise regimen and using meditation practices to support and promote a balanced and healthy body, mind and spirit. 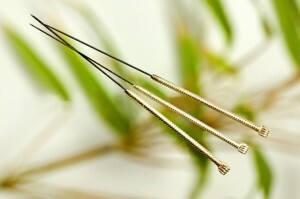 Acupuncture provides a safe, effective and drug-free alternative for the treatment of stress. Practice meditative exercises. Qi Gong, Tai Chi and Yoga can help create a healthy awareness of the body and mind connection, freeing your mind of stressful thoughts.